Unknown location. Unknown subjects. Unknown photographer. 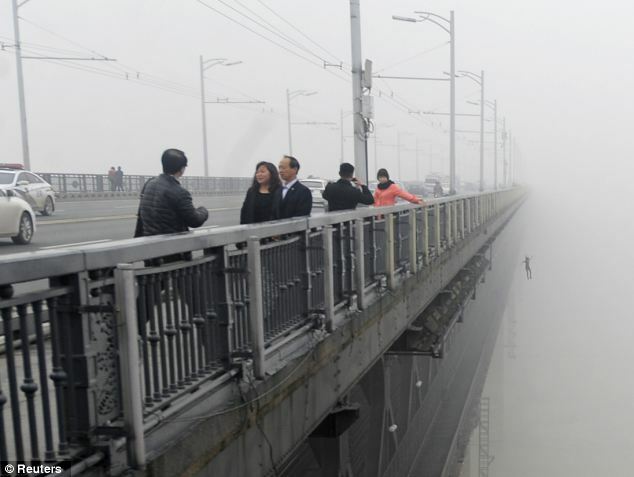 Unknown suicidal person. People in the U.S. and China view each other with increasing suspicion, and many others around the world see the U.S. losing its place to China as the leading economic and political power. Kenneth Lieberthal of the Brookings Institution and John Bussey discuss the results of a new survey. Chinese anime made from Chinese paintings. The story is about tadpoles seeking their mother. 1960s chinese animation movie. Not much dialogue, and I have no English subs. Synopsis: the monkey king is born out of rock and becomes the king on the mountain of flowers & fruits. He first acquires the legendary super-heavy golden staff as favorite weapon from the east sea dragon king. /DRIVE heads to Beijing, China to drive a Bentley, meet a dealer who sells multimillion-dollar supercars and visit a small city of tuning shops. This is the cost in blood of China's lust for Olympic gold. Chinese athletes have a hard life of training in China. Take away from family, friends, even school, they train nonstop, often at the expense of an education or prospects for life after retirement. Jet Li and Yao Ming are some of the lucky ones. Others in China's fleet of gymnasts, weight lifters, sprinters, and swimmers come to a less happy ending. -Who doesn't want to know about life in a Chinese prison? After the massacre at Tiananmen Square in 1989, poet Liao Yiwu responded in anger and sadness with a powerful poem that become popular among activists. But his verse led to his imprisonment. Jeffrey Brown talks to the poet about his work and time in prison, recounted in his new memoir, "For a Song and a Hundred Songs." In June 1989, news of the Tiananmen Square protests and its bloody resolution reverberated throughout the world. A young poet named Liao Yiwu, who had until then led an apolitical bohemian existence, found his voice in that moment. Like the solitary man who stood firmly in front of a line of tanks, Liao proclaimed his outrage—and his words would be his weapon.